Almarita Tremble was born on November 3, 1940 to the late Luther and Leola Tremble. She was the 4th of 6 children and was affectionately known as "Rita" to some and "Big Ma" to others. During her formative years she was a cheerleader and brought life to the people around her. She graduated from William James High School in 1958.. Before leaving high school, she met and fell in love with Robert (aka Bobby) Donaldson and they were wedded in holy matrimony on June 23, 1958 at the age of 17 and 18 when she became Almarita Donaldson. Their union brought forth 5 children: Wanda Yevette (Elliott III) Palmer, Gayla Donaldson (Willie) Weaver, Robert Donaldson, Tammy Donaldson, and Demetrius Donaldson. Rita and Robert were hard and dedicated workers in the community. Their strong determination and work ethic allowed them to become entrepreneurs where they amassed an empire know as Donaldson Square, comprised of the Donaldson Barbershop, Gayla's Gift of Beauty Salon, Donaldson Bail Bonding Company and Bigma's Soul Food Restaurant. Rita was also the Center Director for the Central Savannah River Area (CSRA) Head Start Program for over 34 years until her retirement in 2008. Rita was a faithful member of the Historical First African Baptist Church for over 40 years where she volunteered for numerous committees and served as church clerk, Deaconess, and head of the kitchen committee. She was a dedicated member of Club Rho Nu for over 50 years as well as a member of the Elk's Lodge and NAACP. During her retirement she was devoted to her children, grandchildren, great-grand and great-great-grandchildren who kept her young in life and love. 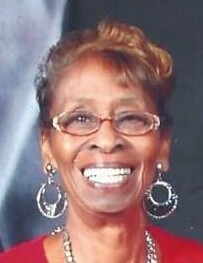 She leaves to cherish her 5 children, Wanda Yevette (Elliott III) Palmer, Gayla Donaldon (Willie) Weaver, Robert Donaldson, Tammy Donaldson, and Demetrius Donaldson; 2 surviving sisters Mildred Turner and Jackie Tremble; her in-laws, Grace Smith, Carolyn Hughes, Earl Donaldson, Paul Donaldson, George (Evelyn) Donaldson and Mildred Patterson; 9 grandchildren Loletta Donaldson, Nicole Donaldson, D'Andre Burden, Dana Collins, James Hicks, Jared Weaver, Elliott Palmer IV, Dakota Jade Donaldson and Megan Donaldson; 6 great-grandchildren, David Donaldson, Bobby Jackson, Sarai Burden, D'Andre Burden Jr., Jaylen Collins and Zai'lyn Hicks and one great-great grandchild Denver Donaldson. Viewing for Mrs. Almarita Tremble Donaldson will be held Monday November 26, 2018 from 2-8pm at the Craig R. Tremble Funeral Home, Statesboro Chapel. Home Going Celebration for Mrs. Almarita Tremble Donaldson will be Tuesday November 27, 2018 at 1pm at the Historical First African Baptist Church, 124 Bobby Donaldson Ave., Statesboro, Ga., with the Rev. Craig R. Tremble, Presiding and Deacon Jared Weaver, Eulogist. Interment will be held in A.C. Dunlap Cemetery(Eastside Cemetery), East Oliff Street, Statesboro, Ga.
Mrs. Almarita Donaldson will lie-in-state from 11am until funeral hour. There will be no viewing after eulogy.